Wether your about to bounce or thinking of a water slide rental we offer online booking that gives you an email confirmation. However, we are also more then happy to take a reservation for your inflatable rental. 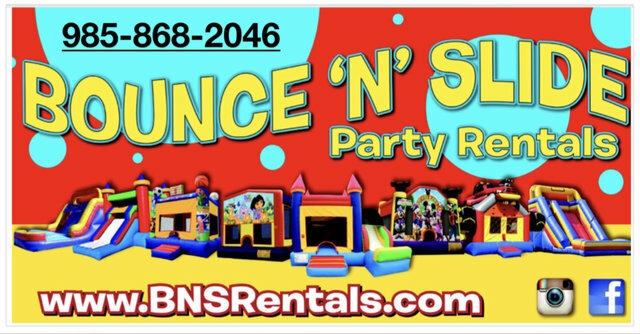 You will also receive an email confirmation if you rent your inflatable bounce house over the phone. And last but not least please feel free to email us all your information and we will reserve your inflatable for you. Please remember in all cases you will get an email confirmation. Please feel free to make the reservation in any method you choose.